A couple of weeks ago I hosted a "sprinkle" at my house for my dear friend, Kathryn. She, Mark, and Julianne will be welcoming a baby boy in about 3 weeks! 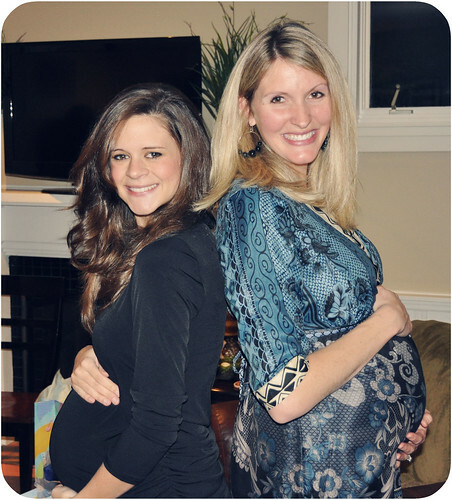 I pretty much look like a pregnant elf standing next to Kathryn. Lovely. 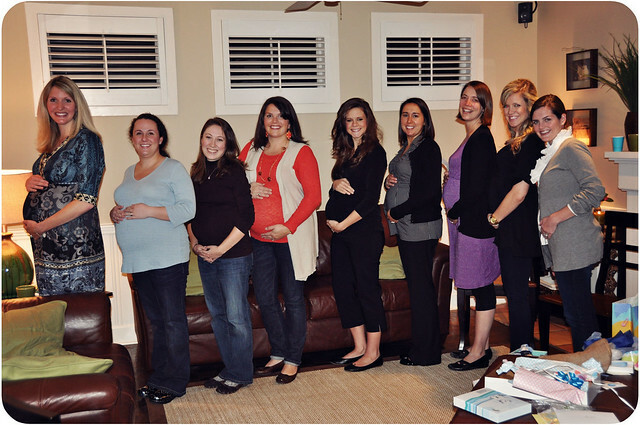 I love the pregnant group picture!!!! LOVE the post! You were so sweet to throw a "sprinkle" for baby boy and I cannot wait to do the same for Ruthie! Love you, Kel.